This blend out of the Walla Walla Valley in Washington State is 85% Cabernet Sauvignon, 10% Malbec, and 5% Petit Verdot. It spent 23 months in French, American and European oak barrels (35% of which were new), and has an ABV of 14.7%. But you know what? 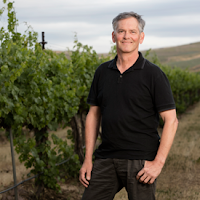 This wine came with a really nice letter from Casey McClellan, the winemaker, so I'm going to post it here for you to learn more about this wine and the winery in his own words. My family first arrived in Eastern Washington in the 1880's, putting down roots while farming wheat in this fertile region. One hundred years later, my father and I worked side-by-side on the Walla Walla valley's first significant planting of Bordeaux varietals in what became the original blocks of Seven Hills Vineyard. My wife, Vicky, and I founded Seven Hills Winery in 1988, and I've been refining my craft as a winemaker over the past three decades. 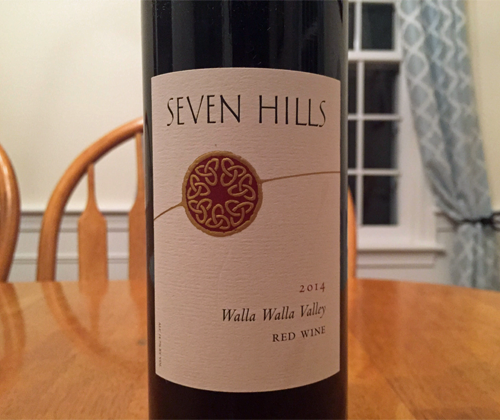 I'm proud to introduce the inaugural vintage of Seven Hills Winery's Walla Walla Valley Red Wine, in homage to the land where my family - and our vines - took root. It's a Cabernet Sauvignon-forward blend, carefully balanced by Malbec and Petit Verdot to evoke the valley's rich bounty. 2014 was a banner year, marked by an Indian summer and abundant harvest, and we sought to capture that remarkable character in the barrel and, now, the bottle. I hope you'll join me in raising a glass to the Walla Walla Valley, a special place not only for me but for wine lovers across the globe. Enjoy a glass of Walla Walla Red Wine with a few of my family's favorite recipes, such as South African spice sugar-cured chateaubriand or a charred guyere burger with mushroom reduction and caramelized onions. First off: Thank you, Casey. Second: I have no friggin clue what the hell a chateaubriand or a gruyere is. It sounds very fancy and frankly it scares me. Now let's drink some wine! The color of the wine is a dark ruby red with vibrant highlights. At first the nose has graphite, eucalyptus, spearmint and not much fruit except a tiny bit of raisin. After taking my first sip it's pretty clear that this wine is still tight and needs to open up. So I do the swirling and sitting thing. With this exposure to oxygen, the fruit comes out. Blueberry sauce, juicy plums, and black olives are now wafting out of the glass. There's also vanilla, brown spices, and dried herbs. What a change! With the breathing, the tightness and astringency in the mouth has calmed and there's actual flavor. Now it's medium to full bodied with a dusty mouthfeel, structured tannin, and pleasant acidity. There's flavors of red cherries, plums, blackberries, black dark roast coffee, and cocoa powder. It finishes dusty like the midpalate mouthfeel with flavors of blackberries, cola, and black dark roast coffee. Very nice but, as you know, the higher the price the more scrutiny I've got to show it. Even though I really liked it, it's also $34. 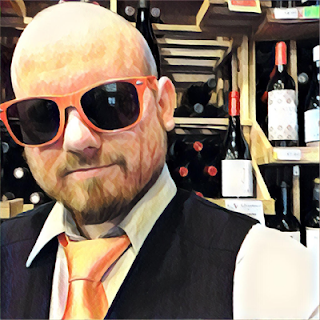 That's above my own personal budget for wine so I've got to ask myself some questions. In the end it gets a 3.5 out of 5 in price vs quality, between Satisfying and Recommended. You'll be more than just happy with the money you spent, but don't break the bank to get it. And if you do end up with a bottle of this wine, it may be wise to lay it down another year or two. Now I can pay someone to write my paper here, try for yourself if you value your time! replica cartier watches, combining elegant style and cutting-edge technology, a variety of styles of replica cartier tank watches, the pointer walks between your exclusive taste style.